Sometimes I hear clients say “My pet seems perfectly fine, why does he need an annual exam if there are no vaccines due?” Well, I ask you, just because your mouth feels fine and you brush your teeth, why do you need to see the dentist? Only the experts can find hidden dangers and act quickly to prevent big problems. First of all, times are changing and vaccines are not the most important reason to visit the vet. In fact, vaccine protocols are changing (as they should) to be less and less frequent and to be specifically tailored to lifestyle risk and need. So your precious pet may not need a vaccine, but there is so much more I can tell you about them with their silent communication. Most owners can’t look into the back of their pet’s mouth to assess dental problems. They can’t see down the ear canal to visualize deeper ear troubles. Seeing their pet every day they are often unaware of significant weight loss or gain. They can’t hear heart murmurs or feel internal lumps and bumps. Subtle gait changes and lameness can also be easy to miss when you spend every day with them. 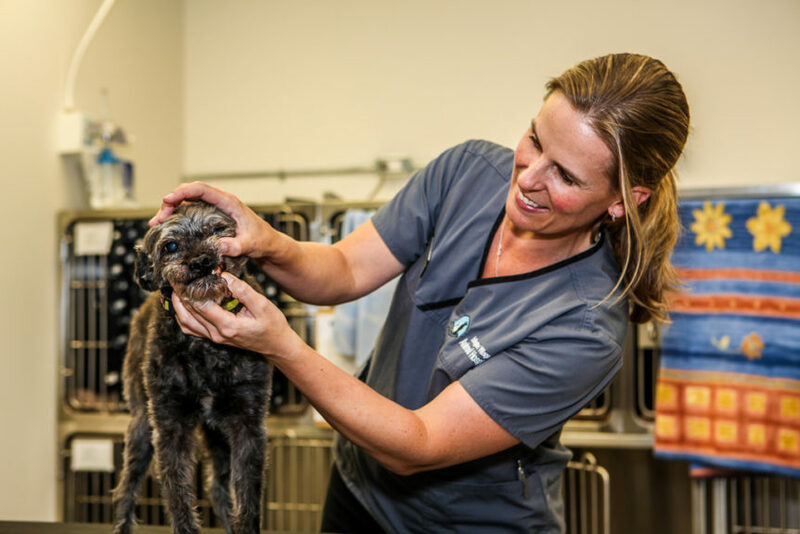 On a physical exam I can detect many of the secrets that your beloved pet can be hiding that you may be totally unaware of. And if I find nothing but a healthy pet, ultimately that alone should be information worth hearing. This is particularly true of cats. These curious creatures are NOTORIOUS for hidin g problems until things are really bad. Cats have not been domesticated that long, so the instinct to hide illness and pain is still well ingrained in their DNA. Too often when I am presented with a cat that has fallen ill, the owner often says “It just came out of the blue. She seemed perfectly fine yesterday!”. Meanwhile, I know as an animal doctor that particular health problem had been brewing for a few weeks if not a few months. The cat was just an expert at hiding the truth. Sadly, this was all too true of a recent patient I lost due to a highly preventable illness. A young male cat, indoors only, who the owners felt “did not need a yearly exam because he seemed healthy and never goes outside”. Unfortunately he was on an improper diet, which I could have counseled them on if they had only come in for a yearly check up. They ignored all our reminders for the annual exams, and finally came in when their kitty was very ill. By then it was too late and he lost his battle to survive. The heartbreak is that they would have been given helpful information that could have prevented this problem. So please, I encourage you to bring your pet in for its annual exam. You may gain valuable insight into a problem you did not know was occurring. And best case scenario is you will be told you have a perfectly healthy pet and to keep up the good work. Don’t we all like hearing that from the dentist?